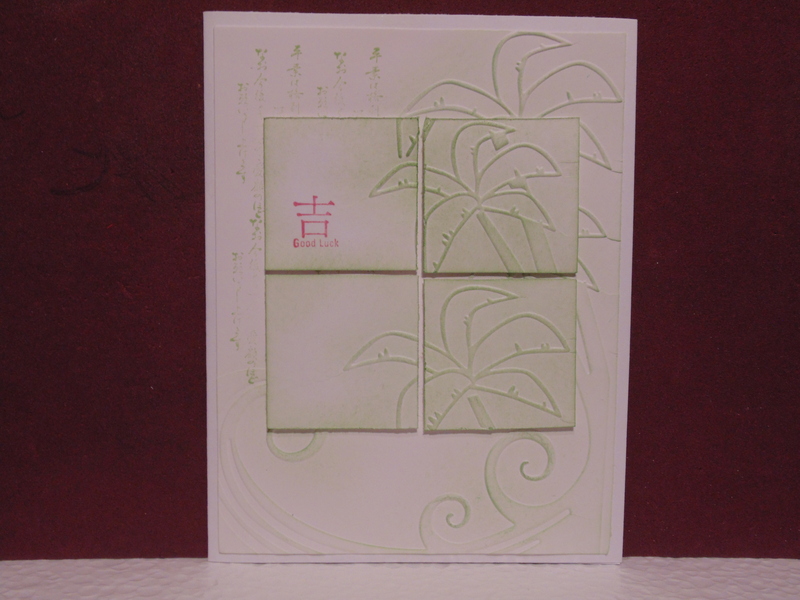 In the above example I used an embossing folder for both the layers and sponged them so they were visible. 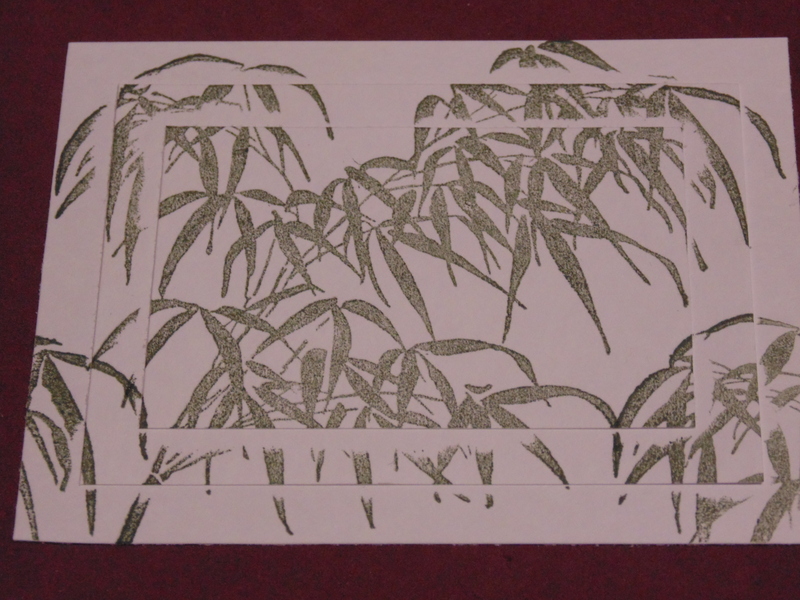 Here is another example of another way to repeat your pattern. 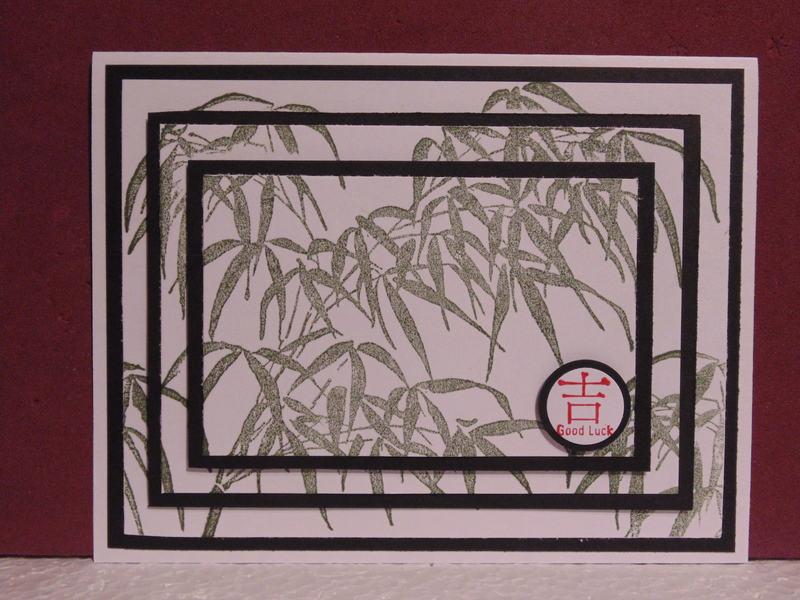 For this one, I made a multi-layer card alternating black with white. Just make sure when you put your layers together, you make sure all the layers are right-side-up. I finished my card by raising all the black layers with foam tape but keeping it flat also works. Have fun making this month’s Technique Challenge.